I have been blogging now for more than 10 years and I have gone through the good, the bad and the ugly when it comes to what works and doesn’t work. I wanted to share with you what I have used in the past and what works for my website today. If you have any item you would like to see on this list, please be sure to let me know. I will keep this list updated over time. I have used two different blog platforms over the years and it really depends on what kind of website you want. I personally use Blogger for a club I belong to because we just need a very basic website with little cost. But, Blogger is very limited to what you can put on it. I do visit very large bloggers who still use Blogger though. My main concern is, you can’t backup Blogger and you are at the mercy of Google since they own Blogger. I highly suggest and use WordPress.org as a blog platform for anyone who is wanting to do so much more with design and to be able to use plugins, have a shopping cart, ease of design, etc. Right now I am using A2 Hosting for my WordPress host and couldn’t be happier. They are very reliable and support is great. I use the Swift shared web hosting package. You will need to pick a domain that will be easy to search for with Google and make sure it’s not already taken. I believe this was the hardest thing for me to do was to choose my domain name. Try to make your domain name less than 16 characters so you can use that name on all your social media accounts such as Facebook, Twitter, and on Instagram. I use GoDaddy to host my websites email address. G Suite is also a good place to host your email address. Both are just a few dollars a year to do this. You don’t want to have the same host hosting your website and your website email address just in case one host goes down. If you are looking for a domain name, use NameCheap to help you out with that chore. There are so many different themes out there for WordPress and it’s really a personal preference when it comes to design. I would highly advise when you do pick a theme, make sure it’s regularly updated to keep up with WordPress changes. Along with WordPress.org, I use Genesis as an Industry Standard Design Framework that makes WordPress easier, without sacrificing power or flexibility. I wouldn’t have a WordPress site without having Genesis as the Framework. The theme I have on my website now is called the Divine Theme by Restored 316 Designs. I have used a couple of her designs and have been so pleased with them. Easy setup, affordable and great support. One premium theme provider is StudioPress. I have used their themes on a few WordPress sites I have made for others. They have great support when needed. One other item I have found important for any blog to have is a Media kit. Especially if you plan to work with brands and sponsorships. I got my media file template at Bold Stationary. A.J. has a very nice collection of media kits which you customize with your colors, logo, and information. You can see my Media kit HERE. Need a logo made, email signature or any other graphics? I have used Fiverr several times for these smaller jobs and always at a great price. I write my posts within WordPress visual text area of each post. It does automatically back up your post, just in case your electricity goes out, need to go back to another version of your post, etc. But, it’s also good practice to write your posts in Google docs or somewhere else you can save your work. Open Live Writer is like Word for your blog. It allows you to create blog posts, add photos and videos then publish to your website. You can also compose blogs posts offline and then publish on your return. I set up my upcoming posts using the Editorial Calendar plugin. It’s perfect to plan out weeks or months in advance. While I am writing, I use Grammarly to show my spelling and grammar errors. Grammarly really works well when you go back and update old posts. Before you publish your post, check out your headline at Coschedule Headline Analyzer. All the hard work you put in your posts, you want to keep. Don’t let someone else copy your words and your pictures. Use DMCA to help protect your work from plagiarism and content thieves. You will receive monthly email reports, a photo watermark maker, protection badges, etc. I use BlogVault and couldn’t be happier. Their backup system is made to use with WordPress. My daily backups have saved me a couple times when I needed to go back and restore a previous version of my blog’s files. Their support is great! Blogvault now offers Staging which means you can make a copy of your site where you can try out new plugins or see if a new update will cause problems with your site. My favorite feature. Updraft Plus Free is also an option plugin but you will have to store your backups somewhere else like A3 through Amazon. Read here about comparing the Updraft Plus free and Premium versions of plugins. Carbonite – I use this for backing up my computer. I do have an external hard drive for some items, but I have so many pictures, files, graphics and pictures I don’t want to lose. If there was a fire, my external hard drive would not make it. When using plugins with WordPress it’s a good idea to always check to make sure the plugin has been updated and that support is being offered in a timely manner. A bad plugin may cause your site to go down if it hasn’t been updated to be used with the latest version of WordPress. Listed below are the plugins I’ve had on my site for quite some time now and trust. Social Warfare – maximize social shares and drive more traffic to your site. I love this plugin! Doesn’t slow down your site at all. Very customizable with Pinterest images, custom tweets, sharable quotes, etc. I like that I can add my Pinterest and Facebook images = with a description of them. I can add a Tweet to my blog post. You can see how many people have shared your post on your social buttons on the post. I have noticed much more social interaction with my posts since I installed Social Warfare. WP Recipe Maker – Great plugin for all your recipes. Easy to use and works great with SEO. I’ve tried a couple other recipe plugins, but WP RM is the best so far. I would not have a WordPress website without these two services. Attacks against web servers are growing all the time. I use CloudFlare for my CDN (content delivery network) provider. It speeds up my site and its reliable and is a free service. I also use CloudFlare for my WAF (web application firewall) provider. It protects your website from common vulnerabilities attacks. There is a monthly fee to use this service. When it comes to site audits, I only recommend MaAnna at BlogAid. She is an expert I trust with my website. When I first contacted her, I was struggling with my website in many ways. She will work with you in a manner you will understand. She also did my https conversion. When it comes to photos for your website, there are so many choices out there. We live in a very visual world and there are several ways to present your photos. Sponsors love clear and beautiful pictures of their products. My camera equipment consists of my Canon T6s, Sigma 17-70mm F2.8-4, and EF 50mm f/1.8 STM Lens. This camera will also take videos, so no need to buy another piece of equipment. You would need a larger SD card which will make sure you have enough space for all those video clips. I use the 50 mm lens for most of my food and craft shots on my blog. It’s a great lens to start out with that won’t break the bank. You can read a more detailed post on how I use all my photo equipment. Canva – I do the majority of my blog’s graphics for social media here. EX: Hero, Twitter, Pinterest and Facebook. Their templates are great. 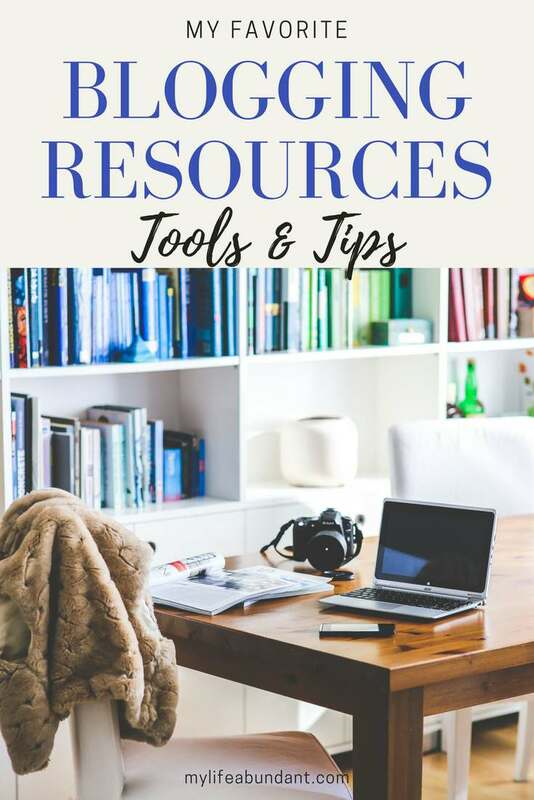 There is so much to use for free at Canva and they do offer $1.00 photos and graphics. Photoshop & Lightroom – I do pay a $9.99 a month subscription through Adobe Creative Cloud. Lightroom is such a great program for editing RAW pictures and also from your cell phone. Filmora – A really user-friendly video software at a great price. I use this often to make videos for my blog posts and Facebook. Creative Market – Where I find graphics, mockups, and fonts. Sign up for the newsletters and you will receive free items to download every week. They also have so many bundled items at a huge discount. 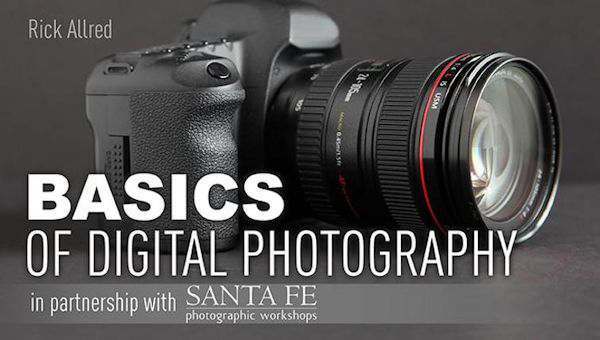 Craftsy – A great place to find classes to learn how to use your camera and software. I took Basics of DSLR and Essentials for Lightroom which I can always go back to review. Craftsy often has sales where you can get these classes for less than $15.00. The Hungry Jpeg – Another great website to find graphics, mockups, and fonts. Here is a list of websites I use for free stock photos. Canva also has some free stock and some for only $1.00. When it comes to getting your blogs posts out there, sharing sponsor posts or affiliate links, it just makes sense to use a social media scheduling service. Helps save time for you too. Most will share different social media. Statusbrew – I now mainly use Statusbrew to tweet all my posts. I love how I can put different tweets in categories to tweet out different times of the year. The Free version only allows you to schedule 10 posts. They offer bulk publishing (really easy to use), unfollow/follow actions, multiple content recyclers, and great stats. They charge $20 a month if you decide to use their paying plans. RoundTeam – The perfect way to share other Twitter accounts you follow. My Twitter following really grew after I started automating a list of bloggers tweets. Later – I use Later for scheduling Instagram posts. Download your picture, add your comments and schedule. You will need to upload the Later app to your phone. When its time for your scheduled Instagram post, you will receive a notice. You will then send it to your Instagram app and your comments are on the clipboard to copy and paste with your picture. I use the Free version, which gives me 30 posts per month. They do have a Pro version if you need more posts. You can also use Later to schedule other posts, but I just love it for Instagram. Tailwind – I used Tailwind for all my Pinterest shares. There are several extras and it’s really easy to pin a lot of scheduled pins. Hootsuite – Another good social sharing device that I have used where you can manage all your social media. There is a free version for 1 user with 3 accounts. SocialOomph – Easily schedule updates, find quality people to follow, and monitor social media activity for your Twitter, Facebook, Pinterest, LinkedIn, Tumblr, RSS feeds, blogs, and Plurk using an App. There is a free and professional version. MailChimp – The email service I am using now for all my automated newsletters. I did use Fiverr to have my RSS template set up for $10. Just do a search for RSS newsfeed campaigns for MailChimp in Fiverr. I have a campaign which is automatically sent out every weekend with my past week’s posts. I will send out random emails, but I love the automatically sent emails. I am on the Free version of MailChimp since I am still building my email list. I also use Gmail for all my miscellaneous emails for my blog. ConvertKit – When you are ready to advance your needs in emails, ConvertKit is your next choice. They offer more perks for your emails. Landing pages, great autoresponders, different email lists for different campaigns, etc. Mail Munch – I love this plugin. I use it at the top of my website to grab new email subscribers. Easy to set up and you can format it to look like your website. Its an easy way for your future subscribers to sign up. You will also receive an email with the number of new subscribers. After having a blog for a while, I really needed help keeping organized. Here are the items I use the most when it comes to planning ahead. Evernote – I love this little app. I can grab so much from the internet to save for blog post ideas and other items I may want to view months from now. I love how I can put different items in folders and use on more than one device. Google Drive – A great place to save your pictures, PDF’s, and any other item you can save online to use where ever you are. Google Calendar – My best friend for every appointment I have for my desktop and phone. I use this for my blog and personal life. Streak – Great way to manage an event you have going on with your blog in your Gmail account. I use this for giveaways to help keep up with the emails I need to send out, the forms and other items. I use the free version. Google Keep – Great app to remind me of items I need to do that I don’t put on my calendar. It does sync with Google Calendar and will notify me on my phone app. Google Docs – If you don’t have Microsoft Office, check out Google Docs to do all those items for you. Google Forms – Where I make all my surveys and forms for giveaways. Google Analytics – The best free tool available for your blog. This tool gives me a deep look at my blog traffic. So much information you can learn about your blog there. Selling products on your website or using another source is a great way to earn extra money. I have learned over the years, that you need multiple ways to earn money while blogging. WooCommerce – When I had a shop connected to my blog, I used WooCommerce plugins for that. It worked perfectly for your storefront. Society 6 – I now use Society 6 to host my graphics products so I don’t have to store inventory. Easy to use and your earning is a percentage of the actual price of the product. Redbubble – Is much like Society 6. SendOwl – SendOwl allows you to sell digital goods online. Many bloggers use this program to sell their ebooks and online courses. You can also set up affiliates for those who advertise your products. There are several avenues to earn money with your website/blog. One of the easiest ways is through affiliate programs. Each program is different in how they operate. Amazon Associates – My favorite affiliate program. Add links to your website for items you use and you can also share them on social media. The best part is if someone clicks on your link, you will receive a percentage of their total shopping cart and the link lasts for a few days. VigLink – Converts your normal outgoing links into affiliate links, and if users make a purchase, you earn a referral commission from it. You don’t need to be signed up for an individual affiliate account on all networks. Ultimate Bundles – Selling bundles from other bloggers via links. You make a percentage off of each sale. eBay – affiliate to share links for eBay. Even your own products. Google Adsense – A way to add ads to your site. Fiverr – Where you can offer services such as graphic design, web design, etc. I make most of my blog’s income through sponsorship posts. You will be asked to write a post and/or share about a product you either receive or asked to purchase. You don’t have to have a large blog to receive offers.